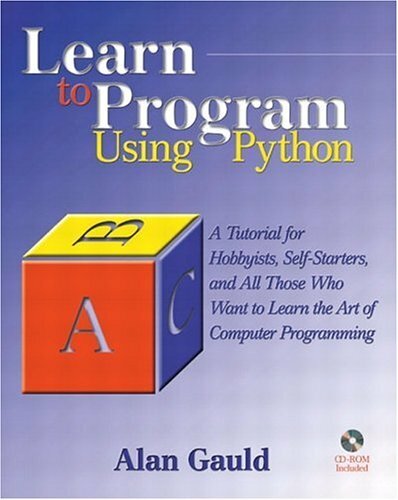 Learn to Program Using Python is a rarity in today's marketplace: a great introduction to programming for true beginners. It started as a hugely popular Web tutorial; reflecting comments from learners worldwide, author Alan Gauld has extended it into book form, adding new material, deeper explanations, and more code examples. Gauld introduces programming through Python, an extremely popular language that's easy to start with, available on virtually every platform, and is powerful enough to serve your needs for years to come. He starts with the absolute basics: what programming is, and the character and mindset of a successful programmer. Next, he introduces the concepts of data, operations, sequences, and loops; and shows how to interact with users. Gauld then walks through branching, modules, functions, file handling, error handling, and recursion. Once you've mastered the basics, he introduces object-oriented programming, and more advanced techniques. The book concludes with two detailed object-oriented case studies. For all beginning programmers, power users, and users of other programming languages who want to learn Python.